It is a nice diagramatic representation of how the content of the diet of individuals varies with increase their income. This clearly causes an increase in the risk for cardiovascular diseases. As the income increases, there is a drastic increase in the intake of saturated animal fats and hydrogenated vegetable fats both of which contain atherogenic trans fatty acid. 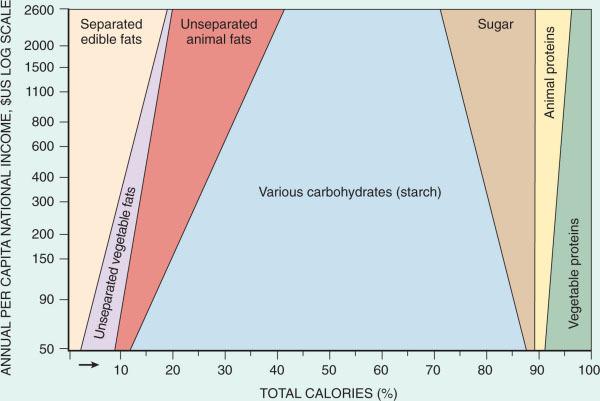 Simple carbohydrates are taken in more and vegetables are less eaten.